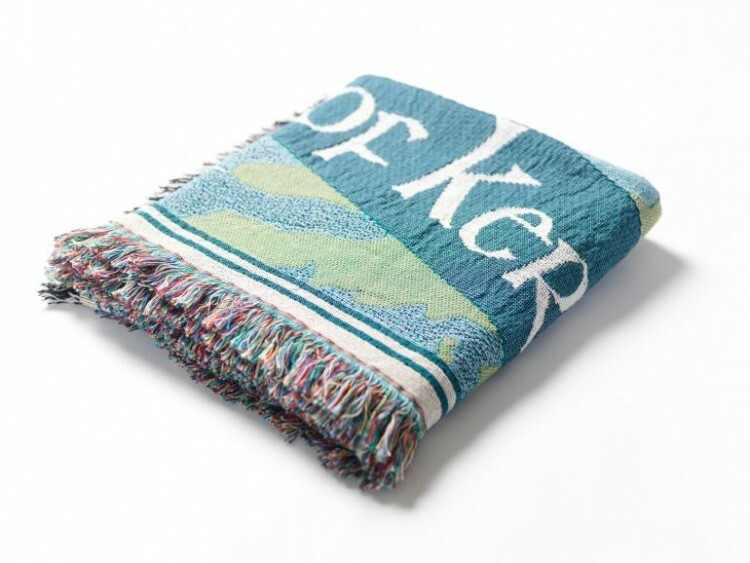 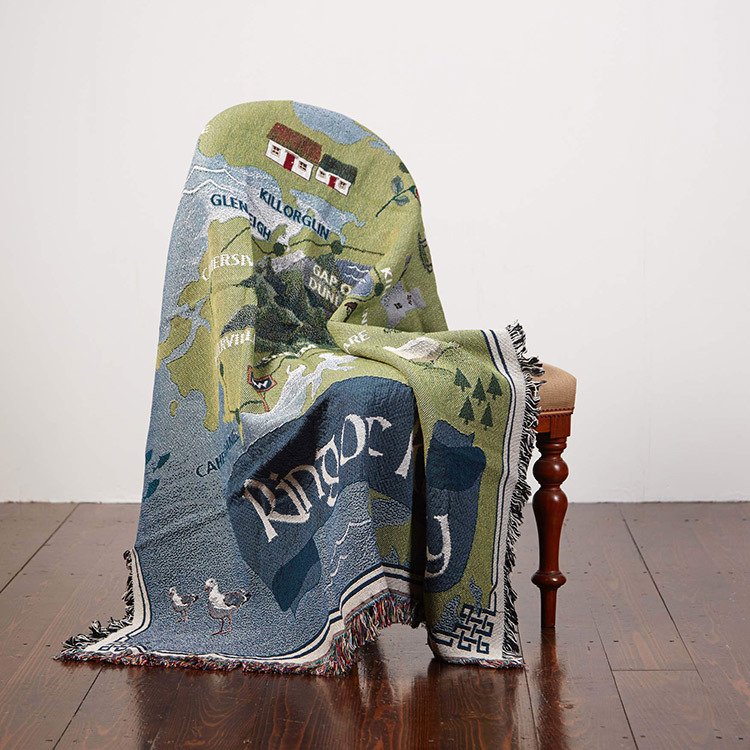 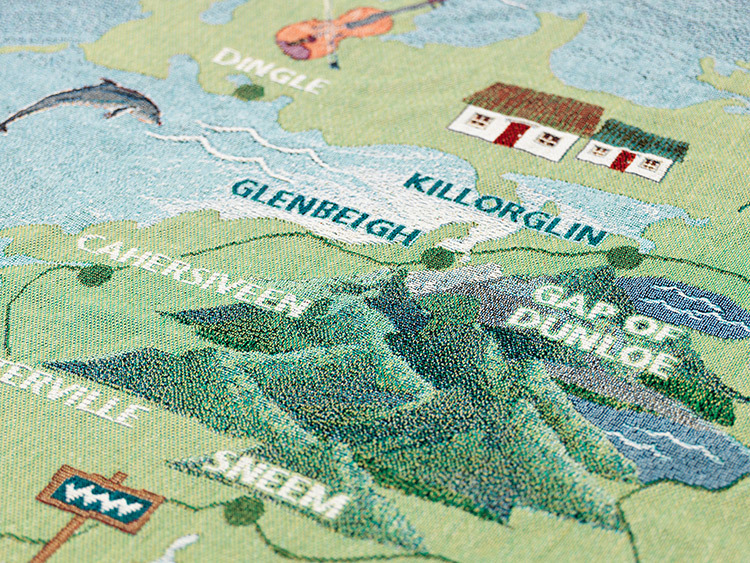 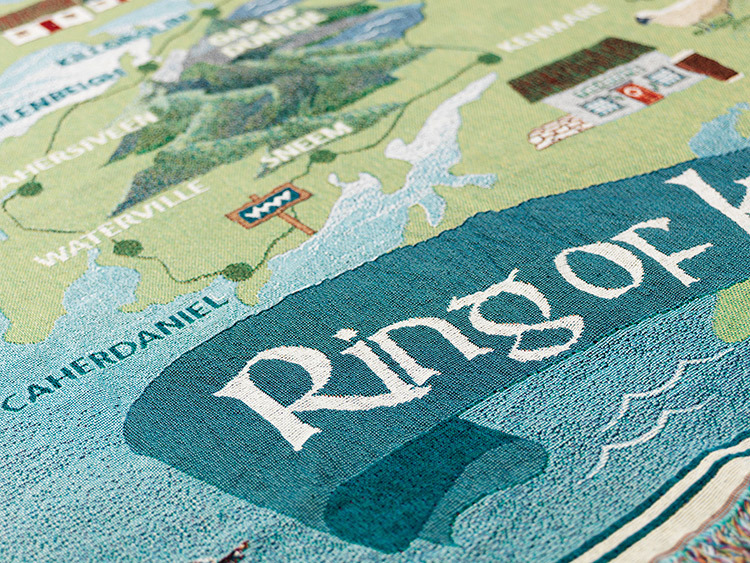 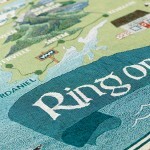 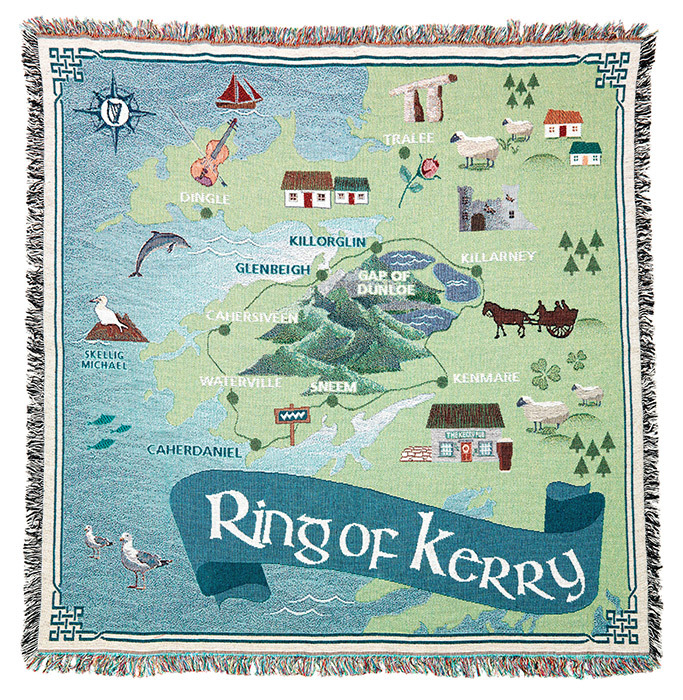 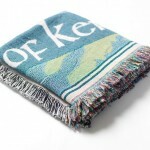 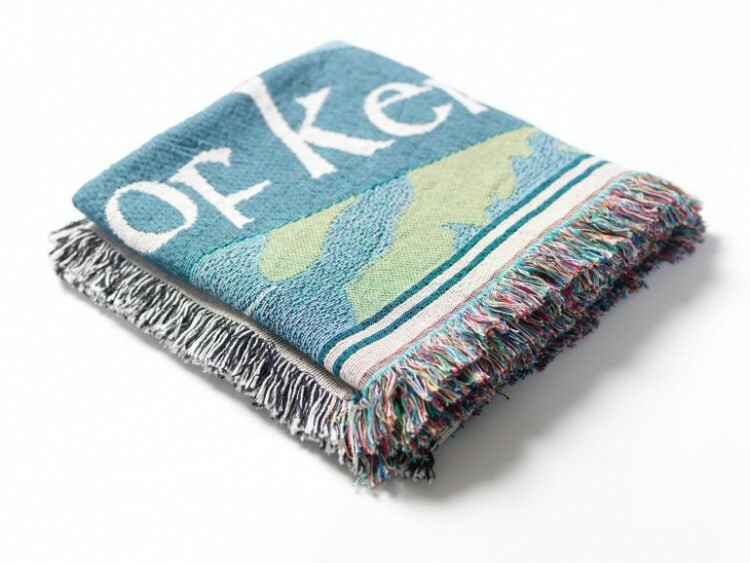 Landmarks and icons along The Ring of Kerry, a mystical and unspoilt region in Ireland’s County Kerry, are transformed into a woven blanket with an artful, contemporary design. 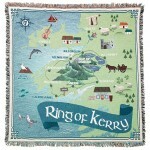 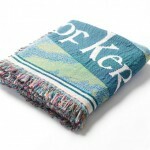 A wonderful Irish gift item that adds warmth and texture to the home. 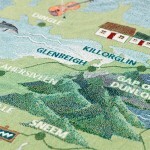 Note the Rose of Tralee Festival icon – good luck to all the contestants!